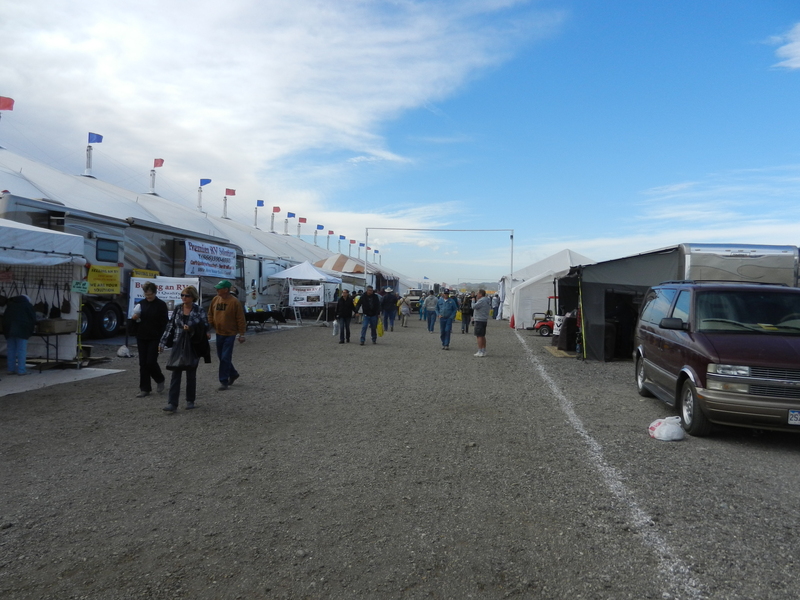 The RV Show started on Saturday 1/20 and everyone said they were going to wait until either Monday or Tuesday before going in order to avoid the crowd. But guess where everyone was on Saturday. 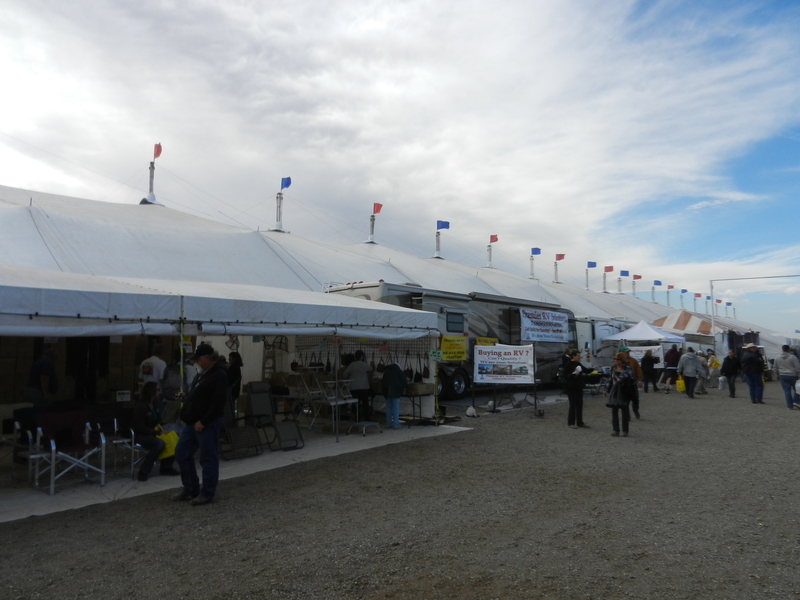 We were all in the big tent of the RV Show. HA! We were just like little kids on Christmas day after Santa had delivered our gifts. Everyone had to see what was the latest and greatest thing to spend our money on. Some of us had made lists of those items we wanted to purchase. Others just wanted to see what the vendors were selling. I couldn’t take many pics because it was so crowded. I will try to go back and take a few of the interesting exhibits. This pic shows Annie driving Rick, Andrea and myself to a spot close to the big tent. We didn’t want to walk too far with all the good stuff we might purchase. 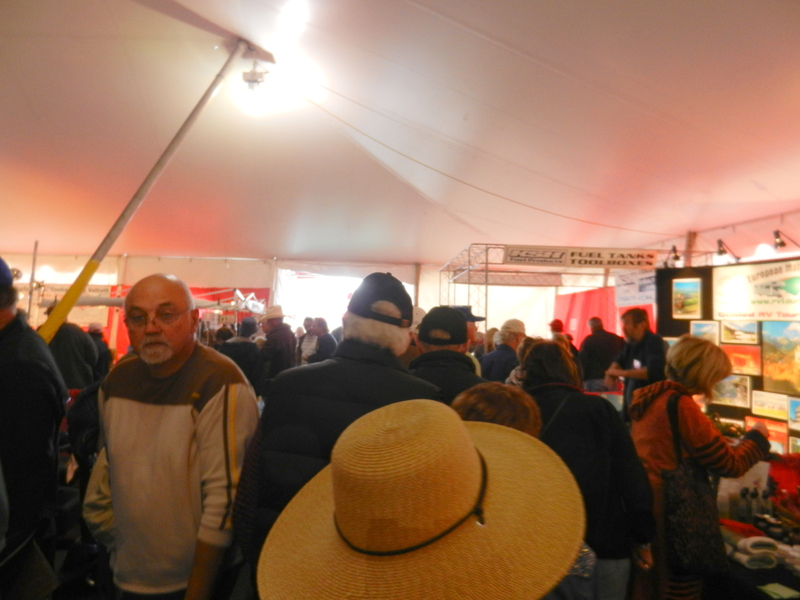 As you can see the big tent was packed with people. It was hard to get up close to vendors but where there’s a will there is a way. Nothing was going to stop us from those LED lights, soups, dips for the happy hour, etc. etc. etc. The big thing at the show seemed to be the LED lights. I even saw food vendors who were also selling them. After all you have to be able to see what you are eating. 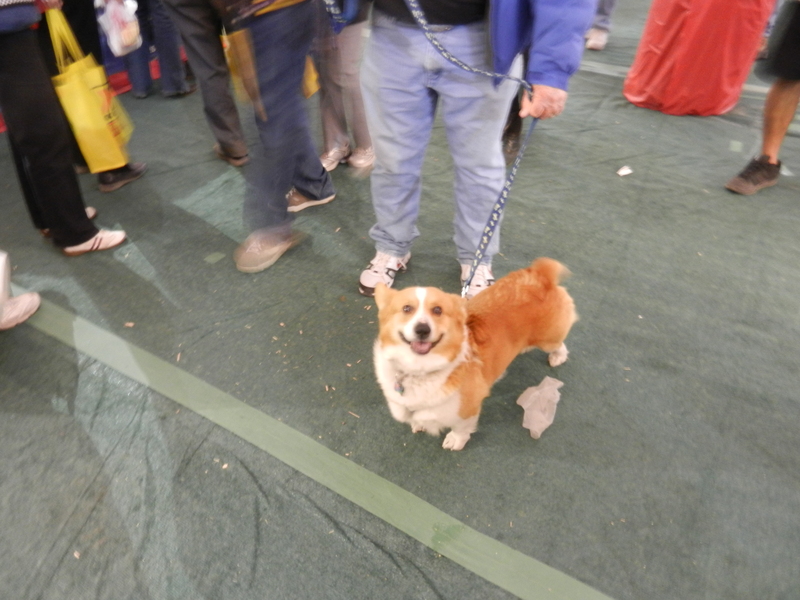 I got this pic of a Corgy for my sister who also owns one. Her Corgy is named Lando and is a great dog. Saturday was a very windy day so I took this pic to show the flags of the big tent flapping in the wind. This is outside the big tent with more vendors surrounding it. I felt sorry for them as they had to endure the brunt of the wind and dust that was blowing. On Monday I had to dump my tanks and refill with propane. Normally it is an easy task and only takes a few minutes. 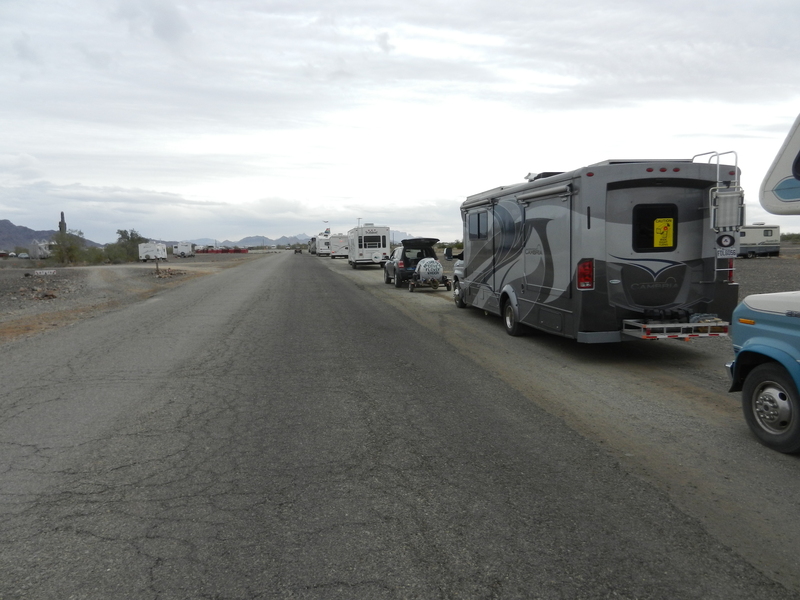 But not at Quartzsite while the RV Show is going on. I got there about 1:30pm and the line was not too long, but it was still about a 45 minute wait. Her is a pic of the line at the dump station. I then drove into the RV Pit Stop in town and filled up with propane. It is literally just like a pit stop in a NASCAR race. They get you in and out of there in a matter of minutes. They are very organized. 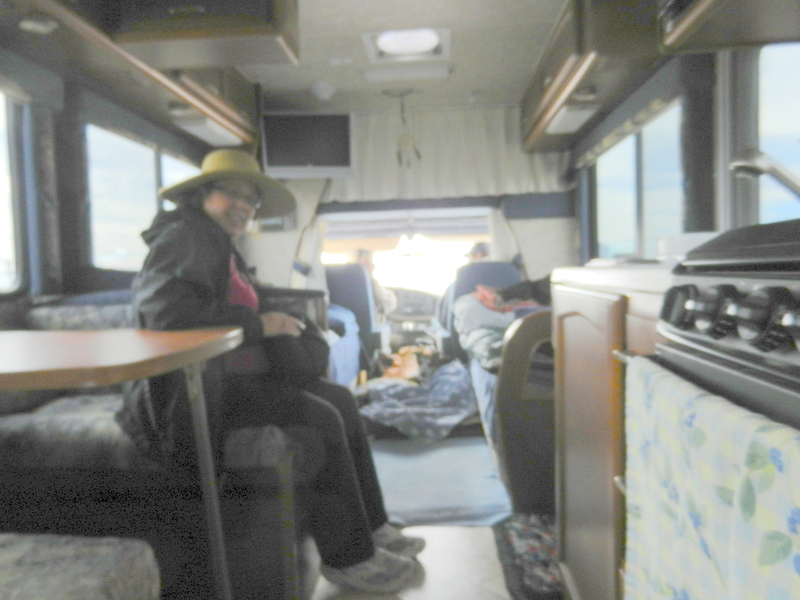 This is a pic of my neighbor and new friend Nancy of the Nancy’s Road Trip blog . She was heading over to the WIN’s (Wandering Individuals Network) which is a singles group off Plomosa Road in the free BLM area. Andrea and I have planned on going over there on Wednesday to meet the WIN’s. 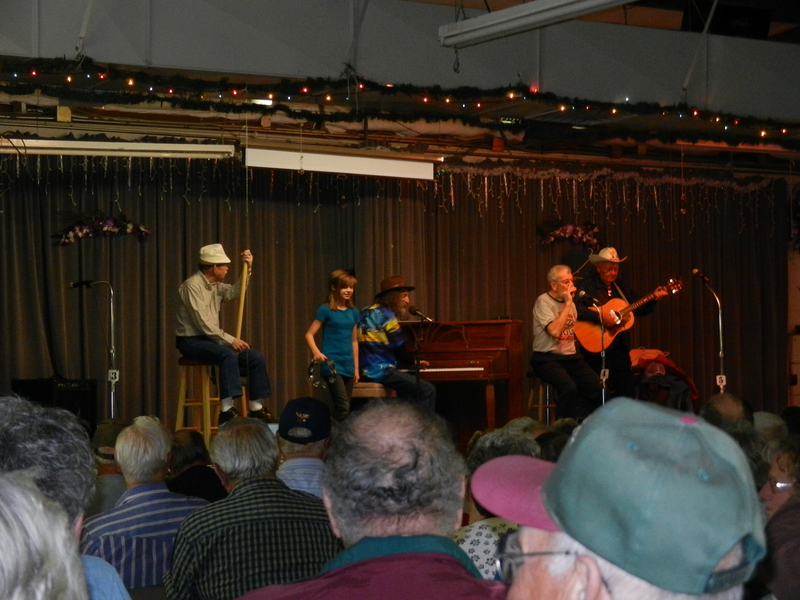 The big excitement today was the Paul Winer Concert at the QIA in town. If you don’t know, Paul Winer is the naked bookseller at the Readers Oasis Bookstore. He is also a very talented musician and used to play in clubs and bars for many years. Today he put on 2 concerts and they were both totally sold out. It was a great time that everyone enjoyed. It was especially nice since it only cost $5 per ticket. 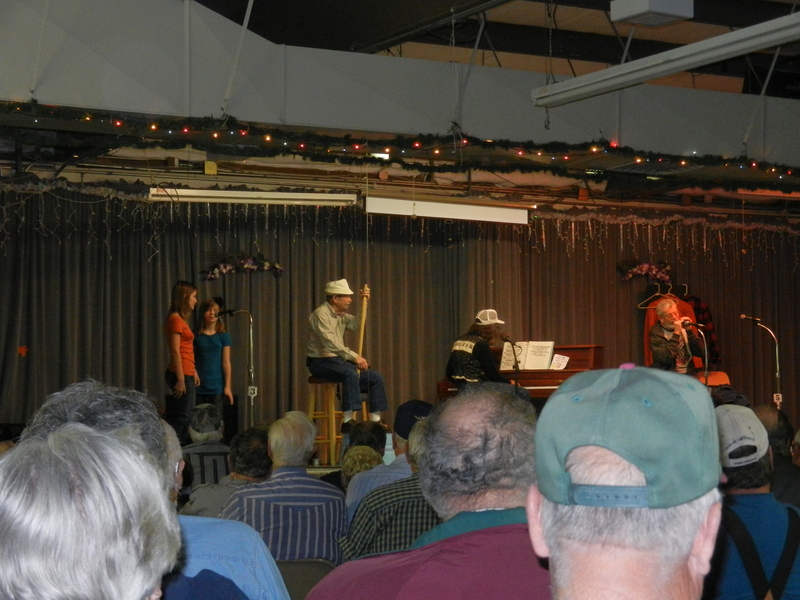 This next few pics shows he and his fellow musicians playing. They were really great!! Finally I took a video of his last song. This guy is really full of energy and has a real gift of gab as well. 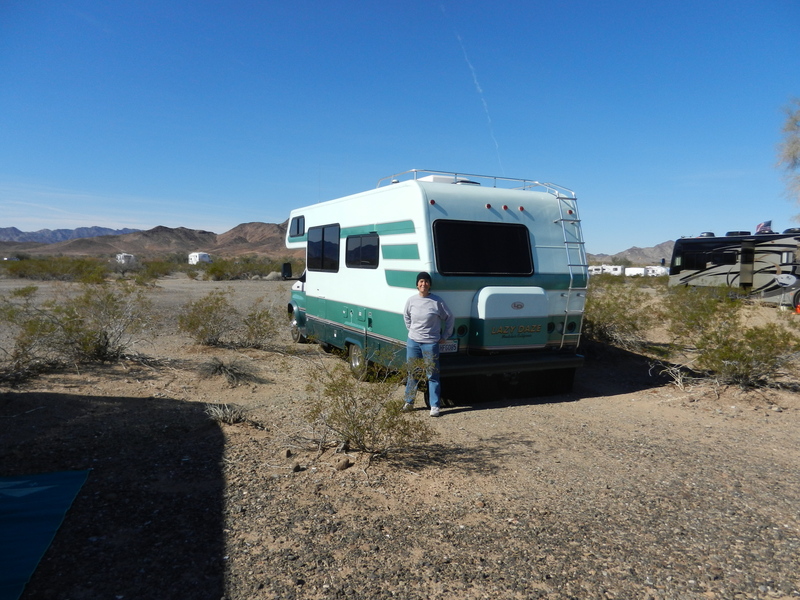 This entry was posted in Arizona, BLM Land, Boondocking, La Posa BLM, Lazy Daze RVs, My Friends, Paul Winer, Quartzsite by Jim Melvin. Bookmark the permalink. We haven’t even taken a video with our camera yet. Looks like it did a good job. So he does wear clothes for the concert! Sorry we didn’t get a chance to say goodbye… I think you might have been sleeping when we left. It was great seeing you again! Enjoy the show and keep making friends. It sounds like you are having a lot of fun.